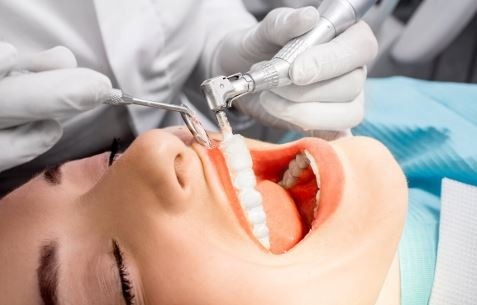 Why do we require dental cleaning? What happens if I fail to get regular dental cleanings? What are the risks associated with gum disease? How often do I need a dental cleaning to prevent gum disease? Maintaining regular dental cleanings is very important to the long-term health of our teeth and gums. Aside from daily brushing and flossing, regular dental cleanings from your dentist is the best way to maintain good oral health. Missing your regular dental cleaning can be dangerous to your teeth and gums. If you fail to maintain regular dental cleanings, you put yourself at risk of developing gum disease and tooth infection. This can lead to bleeding gums, bad breath, sensitive teeth and even tooth loss in most advanced cases. This is why it’s so important to maintain regular dental cleanings if you’re planning on having healthy teeth and gums for life! Tartar is impossible to remove with over-the-counter cleaning devices such as a toothbrush or dental floss. If you don’t get your regular dental cleanings, tartar will start building up on your teeth. Failing to remove tartar from your teeth will gradually lead to gum disease. Gum disease damages your gums and supporting bone structure causing bleeding gums and loose, sensitive teeth. Unfortunately, tartar is impossible to remove with over-the-counter cleaning devices such as a toothbrush or dental floss. Only a dental cleaning from your dentist can properly remove this tartar buildup and get your teeth and gums back to a healthy, happy state. Gum disease is a very common condition, affecting half the population over age 30. The risk of gum disease increases with age and goes up to 2/3 for those above age 65. Gum disease is a serious condition which can lead to tooth loss if left untreated. In fact, gum disease is the number one cause of tooth loss among the adult population. Sadly, it is not uncommon for patients with advanced gum disease to lose most or even all of their teeth. The sooner you treat your gum disease, the better the long-term prognosis of your remaining teeth. 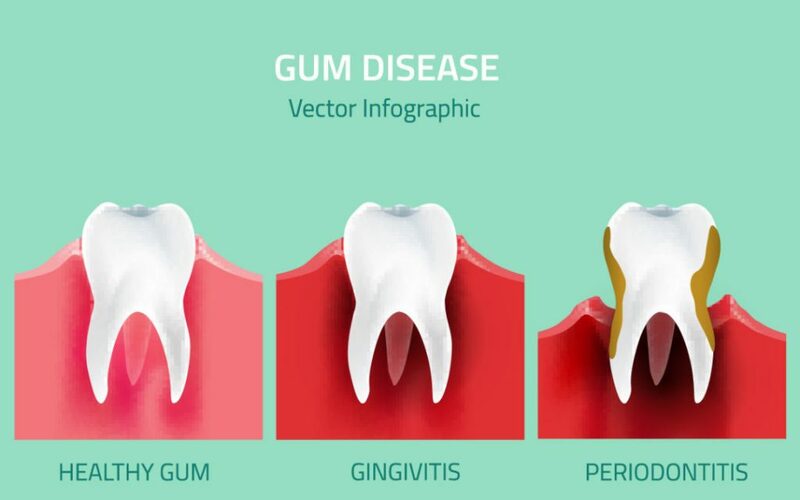 Gum disease is divided into two stages based on the progression of disease, known as gingivitis and periodontitis. Gingivitis causes frequent gum bleeding episodes, especially during your daily oral hygiene routine. The earlier stage of gum disease, known as Gingivitis, is highlighted by changes in texture and color of your gums. Gingivitis causes your gums to become red, swollen and puffy. As a result, your gums will become tender and sensitive. You may also experience frequent gum bleeding episodes, especially during your daily oral hygiene routine. During periodontitis, infection has now spread from your gums to your jaw bone. Periodontitis, or pyorrhea, is the more advanced stage of gum disease involving your jaw bone. 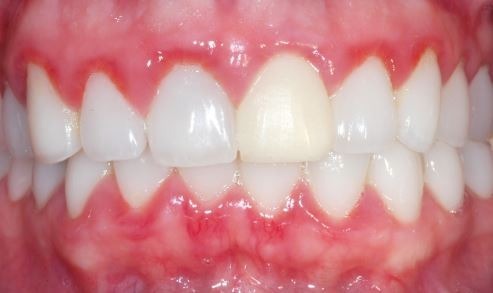 When left untreated, gingivitis gradually progresses to periodontitis. This means that the infection has now spread from your gums to your jaw bone. 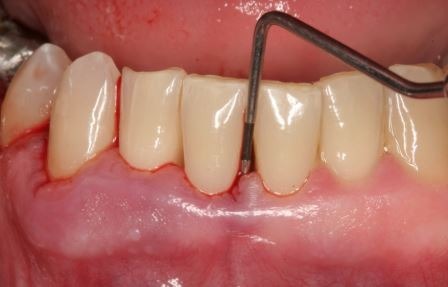 Periodontitis is highlighted by bone loss around you teeth, causing tooth sensitivity, bad breath and teeth loosening. In it’s final stages, gum disease leads to tooth loss, sometimes even causing you to lose all of your teeth. Ultimately, prognosis depends on how far along your gum disease has developed. Luckily, gingivitis is relatively easy to treat and the condition is fully reversible. During gingivitis the bacterial damage is restricted to your gums and has not spread to your jawbone. A good dental cleaning will eliminate the offending bacteria and return your gums to its healthy state. On the other hand, Periodontitis is a much more serious condition. Sadly, the damage sustained from periodontits is not reversible. Essentially, once you lose your supporting jaw bone, it is nearly impossible to replace it. Losing your supporting jaw bone causes your teeth to become loose and mobile. If still neglected, periodontitis continues to destroy your jawbone until your teeth become are so loose that they fall out. Frequency of your dental cleaning depends on factors including your oral hygiene, diet, medical conditions and age to name a few. It goes without saying that if you brush and floss your teeth thoroughly every day, then you won’t need a dental cleaning as frequently. The same goes for your diet and if you consume lots of sugars than you are more likely to need more frequent dental cleanings. Don’t forget, flossing is as important, if not more important, than brushing your teeth. The older we get, the more impact not flossing our teeth has on our gum health. If you are not sure about your oral hygiene habits, be sure to talk to your dentist to review your hygiene protocol and techniques. Unfortunately, if you have crowded teeth, you’re more likely to develop gum disease. Those with very crowded teeth will require more frequent dental cleanings throughout their whole life. So either go see the orthodontist or consider getting a cleaning every several months. Talk to your dentist to see which is the better route based on your oral needs. Typically, those suffering from more medical issues, also need to see their dentist more frequently. Medical conditions such as diabetes, Sjogren’s, heart conditions, digestive problems and many other medical issues can have a direct impact on your oral hygiene. Additionally, the longer the list of your daily medications, the more likely you are to suffer from dry mouth. This is not an absolute factor as there are seniors with impeccable oral health. However, aging does make it harder to maintain our oral hygiene. As we develop more medical issues and take more medications, our oral health becomes more compromised. Additionally, the more existing dental work in our mouth, the more future problems will arise. Finally, arthritis, glaucoma and other medical conditions which affect our ability to maintain proper oral hygiene can also interfere with our daily hygiene routine. How frequently you require a dental cleaning depends on all the factors listed above. On average, we need to get a dental cleaning once every 6 months. However, those with advanced gum disease require a dental cleaning every 3 to 4 months. On the other hand, those with excellent oral hygiene may not require a cleaning more than once a year. Only your dentist can determine the status of your gums to decide how frequently you need a dental cleaning. If you need dental cleaning and help with gum disease then be sure to give us a call. Maintain healthy gums is just as important as caring for your teeth. If you’re due a dental cleaning, don’t delay treatment any longer. Give us a call today at (949)481-2540 or book your cleaning online. We will examine your X-rays and evaluate your gums to access your gum health. If you’re suffering from gum disease, we will determine a treatment protocol that suits your needs. 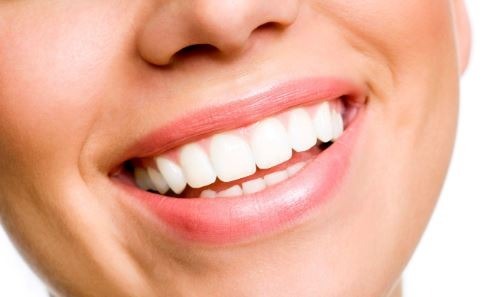 Additionally, we will review your oral hygiene and make recommendations as needed. By following our instructions and maintaining regular cleanings, we can help you keep your teeth healthy and happy for life!